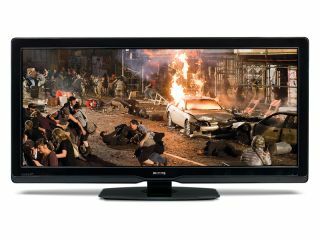 Philips has announced it will be bringing out a 3D-ready version of its flagship Cinema 21:9 TV in 2010. The huge TV, which Philips claims is the only one on the market to offer a full cinematic experience, will use a different type of 3D technology to many of its rivals. The Philips range of 3D TVs will be using Active 3D technology, which uses a wireless transmitter to communicate with the glasses. The signal tells the glasses when to open and close in sync with the pictures on screen, allowing sharp and clear 3D images. Philips claims that this "allows each eye to view its own FullHD image with no loss of resolution or brightness." There's no word on a UK release date for this new 3D ready 21:9 TV, but Philips has promised more details later in the year.